Hailed by The Boston Globe for its “fiercely committed performances,” the Parker String Quartet performs in a Bates College concert, also featuring renowned pianist Frank Glazer, at 8 p.m. Saturday, Nov. 1, in the Olin Arts Center Concert Hall, 75 Russell St.
Also in Olin, violinist Nicholas Kitchen and cellist Yeesun Kim of the Borromeo String Quartet join clarinetist Derek Bermel and pianist Bruce Brubaker to perform Messiaen’s seminal “Quatuor pour la fin du temps” (“Quartet for the End of Time”) at 3 p.m. Sunday, Nov. 2. Both concerts are open to the public free of charge, but tickets are required. For reservations, please call 207-786-6135 or this olinarts@bates.edu. Glazer joins the Parker Quartet for Dvorak’s Piano Quintet in a program rounded out with works by Haydn, Stravinsky and Puccini. Equally at home in a celebrated concert hall or a downtown club, the Parker Quartet embraces opportunities to bring their performances to new audiences in non-traditional venues. The ensemble — violinists Daniel Chong and Karen Kim, cellist Kee-Hyun Kim and violist Jessica Bodner — challenge artificial boundaries by performing in bars and clubs nationwide, garnering media attention with features in Time Out NY, The Boston Globe, Chamber Music Magazine and Musical America.com. The quartet’s 2007 debut CD (Zig Zag), featuring Bartok’s String Quartets Nos. 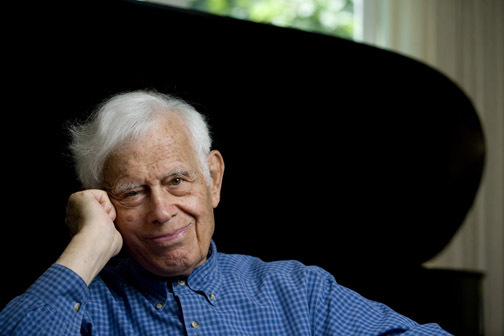 2 and 5, received high praise: “The Parkers’ Bartok spins the illusion of spontaneous improvisation . . . they have absorbed the language; they have the confidence to play freely with the music and the instinct to bring it off” (Gramophone). The ensemble’s upcoming release, on the Naxos label, is the complete string quartets of the late György Ligeti, due out in 2008-2009. 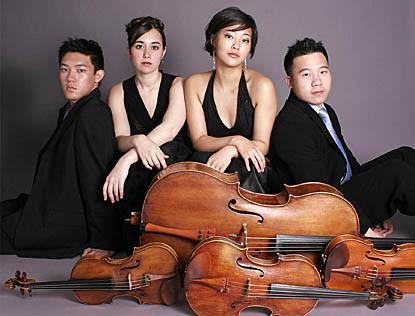 The four are all alumni of the New England Conservatory of Music. When asked the origin of the ensemble name, Kee-Hyun Kim explains: “We are named after the Omni Parker House, in Boston. We all came from different places, [and] when we first met it seemed fitting to choose a name that was such a landmark of Boston. Kitchen, a founding member of the Borromeo quartet, is a recipient of the Albert Schweitzer Medallion for Artistry and the Presidential Scholar in the Arts Award. His musicianship was described by The New York Times as “thrilling, vibrant and captivating.” Also a founding member of the quartet, Kim has appeared with such renowned musicians as Joshua Bell, Christoph Eschenbach and Leon Fleisher. Bermel won several major awards just in 2008, including the Alpert Award in the Arts for music, the American Music Center’s Trailblazer Award and a Koussevitzky Music Foundation grant. He performs as a founding member of the ensemble Music from Copland House along with Kitchen. Brubaker, a pianist with a penchant for contemporary American music, is known for his innovative programming, in which he often combines music with other media. Glazer, of Topsham, has been a resident artist at Bates since 1980. He is a musician ofinternational stature whose long career includes numerous recordings and premieres of contemporary music, his own television program in the 1950s and countless solo recitals and performances with orchestras and chamber ensembles, including the New England Piano Quartette, of which he was a founder. Glazer was 21 when he made his New York debut at Town Hall on Oct. 20, 1936. That event (recreated at Bates on its 70th anniversary in 2006) marked the start of a performing career that finds this artist creatively robust in his 90s.